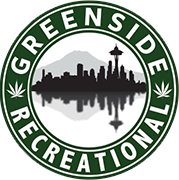 At Greenside Recreational cannabis in Seattle, we know all about the best marijuana edibles. And we also know all about the best desserts in the U-District, along with the best weed strains in Washington State to smoke before you head out. When the munchies hit, our friends usually divide between needing something salty and needing something sweet. No matter which camp you’re in – we got you. Stop by Citra for boba, shakes and unique froyo flavors like green tea and taro – with tons of topping options to choose from. Stoner’s paradise! If you’re craving super premium ice cream, you’ve got to try this place. Try a few flavors before you pick your combo (or single flavor if that’s how you roll) – they’ve got everything from the basics to killer flavors like Banana Nutella. Open until 10pm, this is THE place for gooey chocolate brownies, cookies, donuts and delicious fresh-from-the-oven baked goods. There’s also some salty food – so this is the right spot to hit if you’re rolling with “sweet” and “salty” stoners. Want to try some of the best marijuana strains in the Seattle area? Or, looking for shatter wax, edibles, pre-rolled joints or dabbing supplies? Browse our online menu – and order online for same day pick up. Greenside Recreational is located at 9048 Lake City Way NE – and we’ve got easy-access parking! Seattle’s best pot shop is open Monday thru Saturday from 9am to 11pm, and Sundays from 10am to 11pm. Previous Greenside Recreational is Having a Sale and a Block Party!